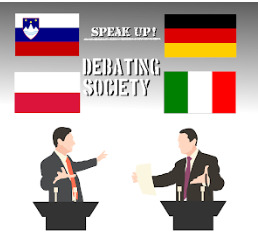 We are pleased to announce that the National Support Services of Germany, Italy, Poland and Slovenia awarded National Quality Labels to the students and teachers working on the "Speak up, even if your voice shakes" Twinspace from September 2017 to June 2018. You can see the results of our work clicking on the eTwinning logo on the right. Congratulations and a huge thank you to all the Speak up Team!